Navy Orla Jacquard Duvet Cover Set is rated 5.0 out of 5 by 3. The Orla jacquard bedding collection is a simple yet stylish design that gives a modern-day feel. 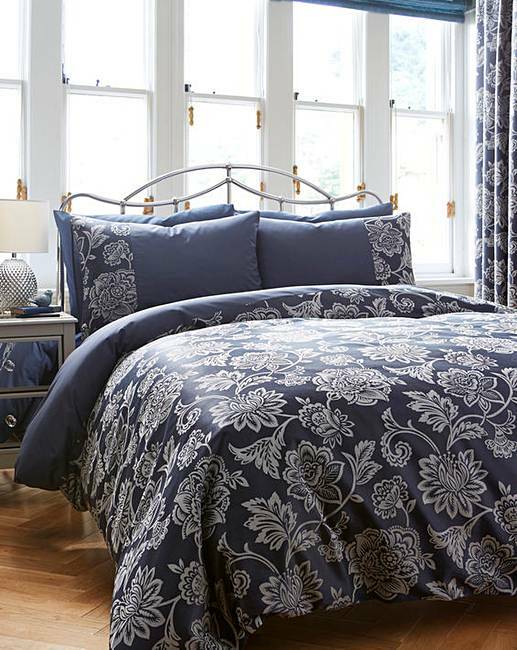 The duvet cover set features a jacquard pattern design that will create a relaxed, contemporary look in your bedroom. Matching eyelet lined curtains available. 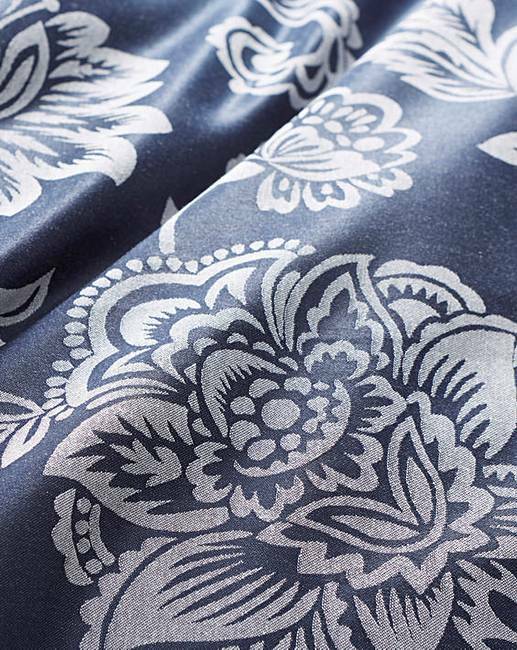 Jacquard: 47% Polyester 53% Cotton. Reverse: 50% Polyester 50% Cotton.